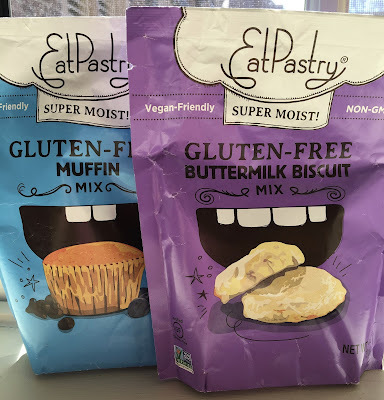 What's cool about Eatpastry's muffin mix is that is is easily customizable to whatever flavors you like. 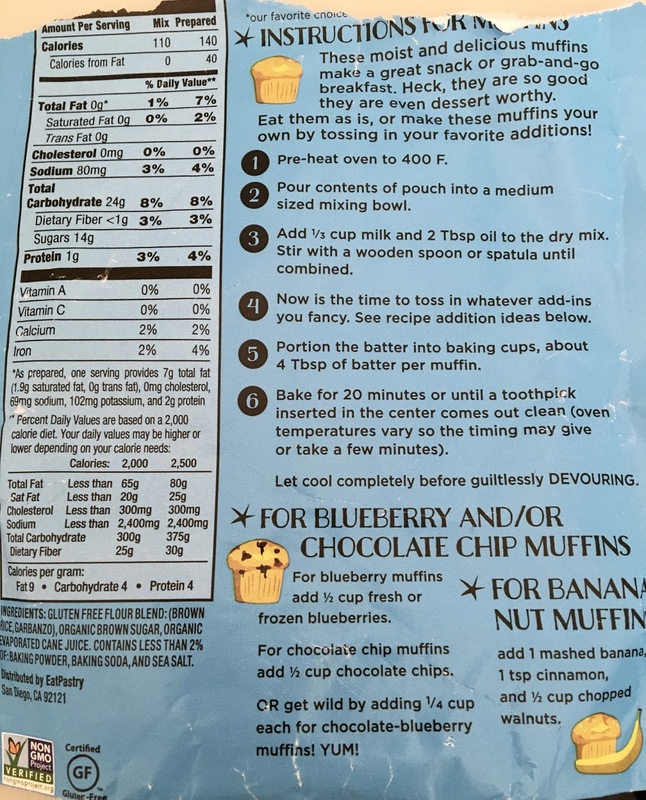 Chocolate chips? Blueberries? Poppyseeds? Mix and match to your heart's content. 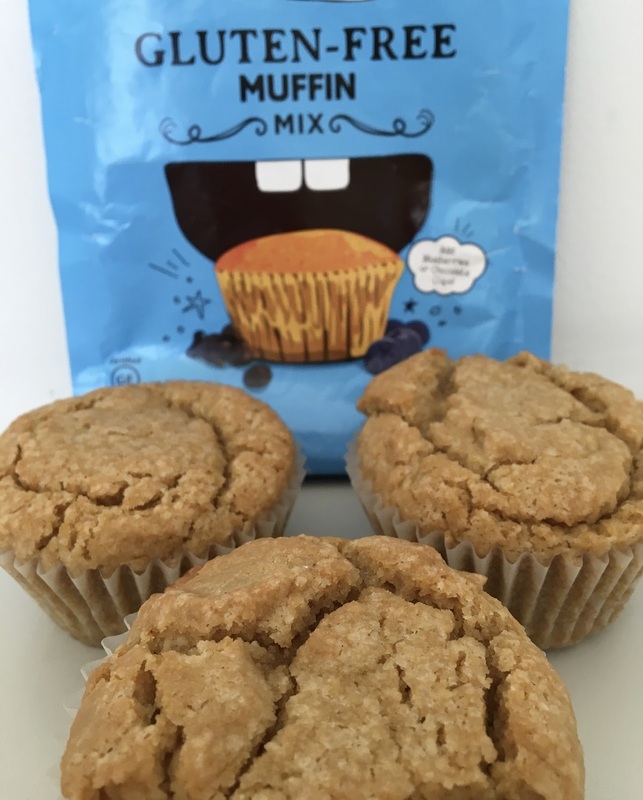 For testing purposes, I decided to nix mix-ins just to see how the muffins would come out on their own. For preparing the mix, I used canola oil and almond milk. Each bag makes up six muffins, but I decided to double up on batter to produce a larger muffin, which meant that the dough only rendered three muffins. They came out beautifully, staying in the oven just a little bit longer than the recommended 20 minutes. I loved the sweetness of them and moist texture, which really needed no mix-in to enhance it. I loved them topped with a schmear of almond butter on top for breakfast. Overall I really liked them, and definitely regretted not picking up more pouches at Whole Foods. 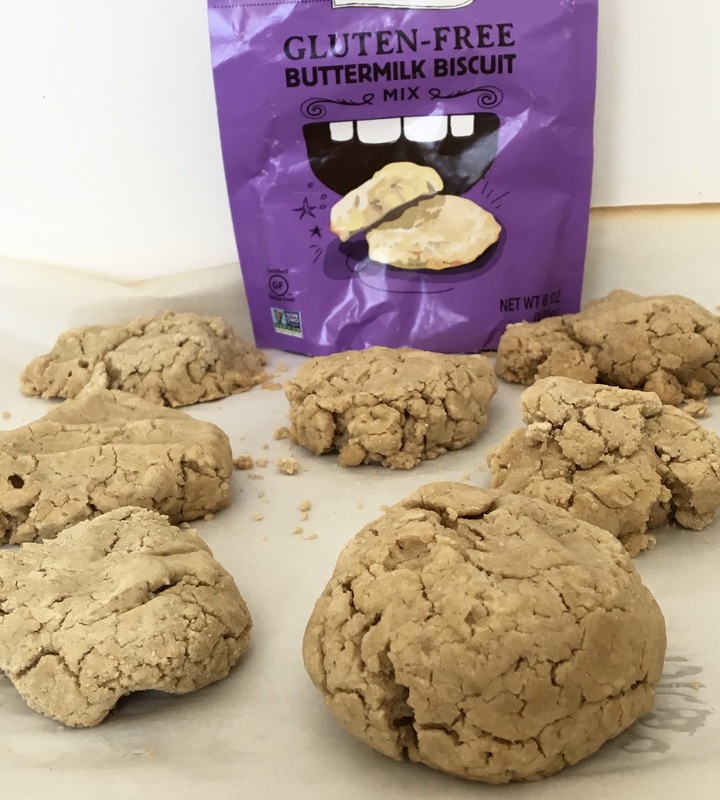 For the buttermilk biscuits, the preparation called for non-dairy butter (I used Earth Balance Soy-Free Baking Sticks) and milk (I used almond milk). As it came together, it seemed really dry, so I added a bit more milk to get the batter to stick together to form biscuits. I had a really hard time getting the biscuits to form, but eventually made nine out of the mix. 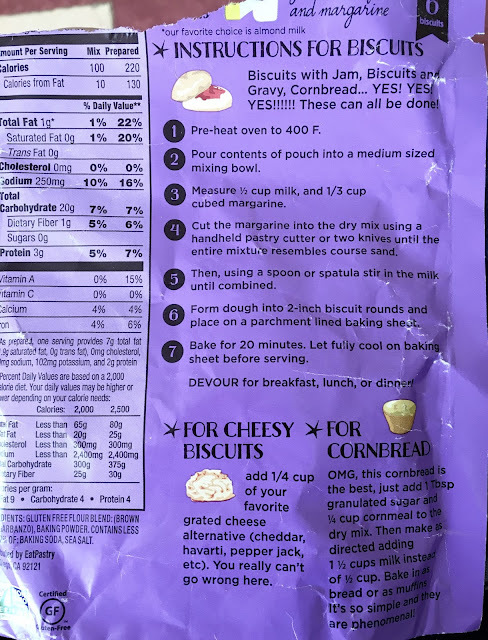 Although the instructions called for a twenty minute cook time, I kept them in the oven ten minutes longer because they seemed to take a lot longer to cook. When they emerged and cooled, I sampled one, and loved the buttery, doughy flavor of the biscuit. However, it was super crumbly, which made it hard to eat without making a mess. While they were not the prettiest baked goods I ever made, they were pretty good, and I liked that they were not too labor intensive to make. I bought both mixes at Whole Foods Market in Charlotte, NC. For more information about Eatpastry, click here.